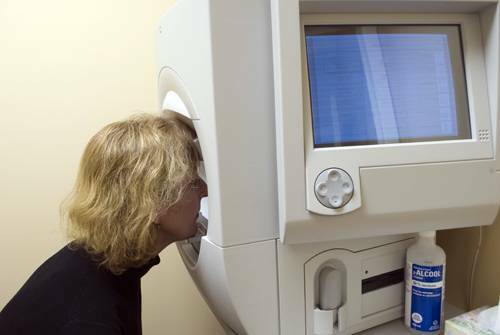 Each eye is tested separately and the entire test takes 15-45 minutes. Normally the test is carried out by a computerised machine, called a Humphrey. 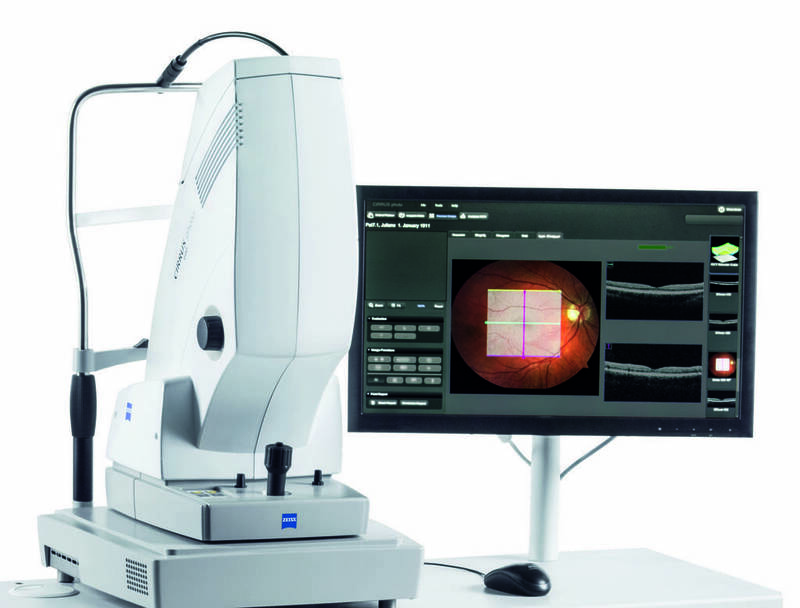 An OCT is a new and advanced tool to aid in the diagnosis and management of eye disease. Please click on these links for more information about what the OCT can show for the Retina and Glaucoma. Our machines can also be used for Eye Emergencies (Pink/Red Eyes).